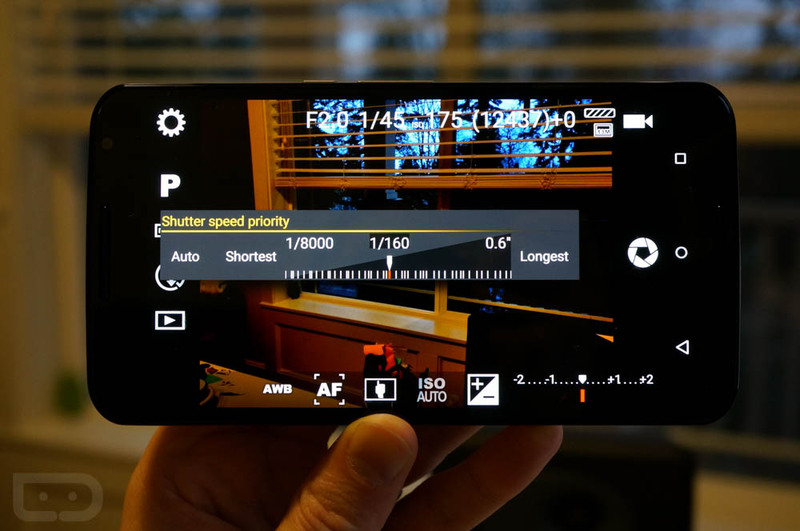 Even though Google announced that a new camera PI in Android 5.0 “Lollipop” would be able to handle things like RAW image capturing and more manual controls over things like shutter speed and focus, we have yet to really see any of the camera apps on Google Play take advantage of them. Camera FV-5 was updated today, and it appears to be one of the first. For those new to Camera FV-5, understand that the app tries to mimic the experience you would get with a traditional DSLR, but since you are using a touchscreen, I can’t say that it is executed all that well. Or maybe I am just overwhelmed. Either way, today’s update does bring the Android 5.0 Camera2 API goodness. You can toggle on DNG raw capture, manually adjust focus and shutter speed, and see a real time display of exposure parameters (like ISO and shutter speed). The updated features are currently only available to the Nexus 5 and Nexus 6, which is probably fine for now, since they are two of only a handful of devices currently running Lollipop (which you need in order to use them). 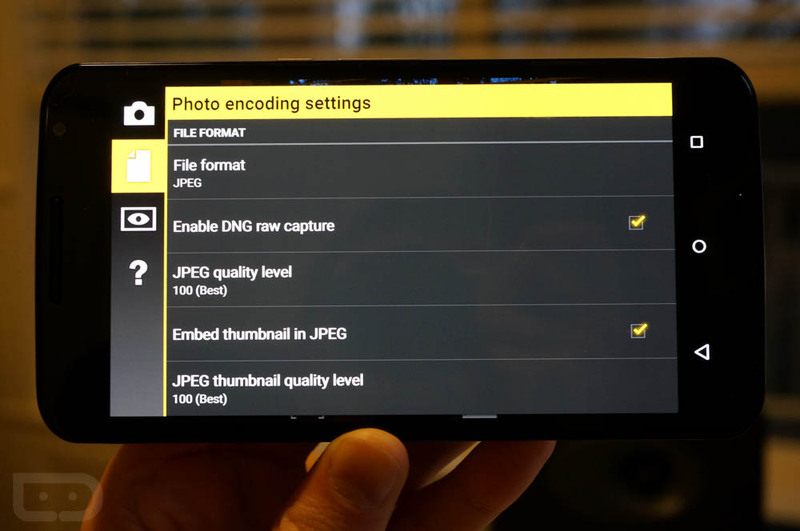 New: complete internal rewrite to take advantage of the improved camera support in Android 5.0 Lollipop. New*: RAW capture in DNG format (DNG+JPEG). New*: manual shutter speed with a shutter speed scale in fractions of second to long exposure (replaces the old shutter speed priority toolbar). New*: manual focus mode (in focus mode toolbar). New*: realtime display of exposure parameters (shutter speed and ISO).